Microsoft today released the windows 8.1 update. Many of the users already downloaded and started using it. But most of them still not yet received any windows 8.1 update notification in their system, even I faced similar problem. At first, I thought server might be busy so it is happening. But even after sometime I couldn’t see any notification to update windows 8 to windows 8.1. After searching on internet I noticed that many of them facing similar issue. If you are one of them then here how I fixed that problem. 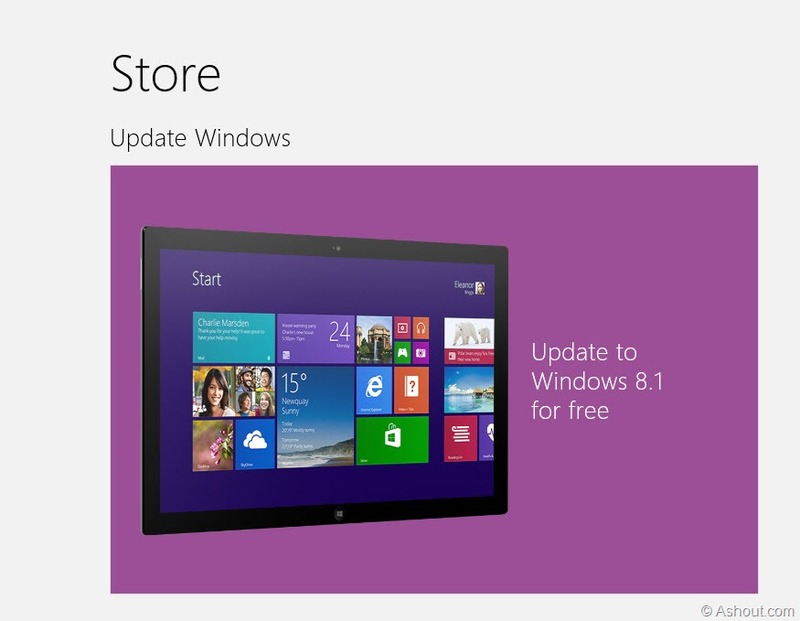 Right now windows 8.1 update is available only from windows store. To check windows 8.1 update notification is available or not in your system just launch windows store app. 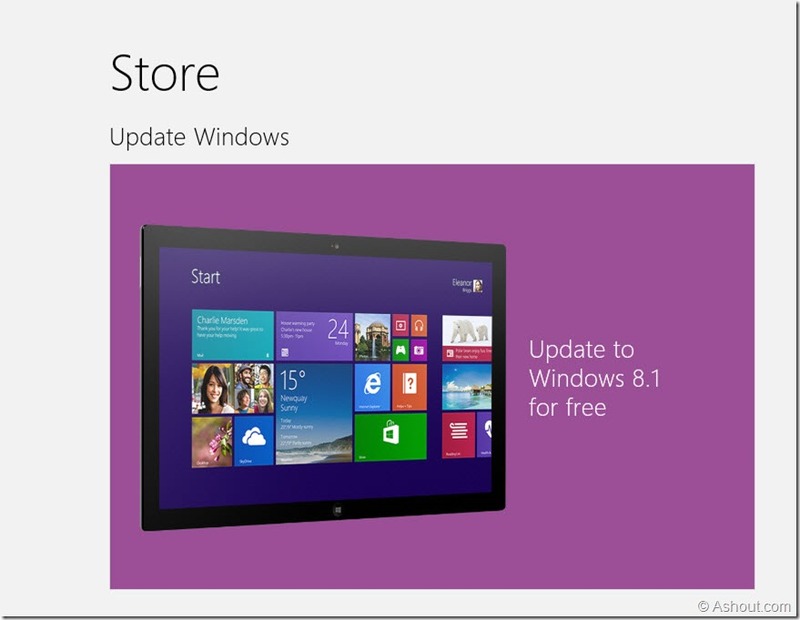 As soon as you launch that windows store app you will be greeted with windows 8.1 update notification. If you didn’t get any such notification, then there is some problem with your system. How to Fix Windows 8.1 Update Notification Problem? You didn’t get windows 8.1 update notification because your OS don’t have necessary update that is KB 2871839 which is required to download windows 8.1. If you turned on your windows update then it could have installed that update automatically. Try to check KB 2871839 update is available for you through windows update. If it is available then download and install it, and restart your PC- you will get windows 8.1 update from windows store app after your restart. If it is not available in windows update then follow the below steps. If KB 2871839 update is still not available in your windows 8 OS through windows update panel, then you have to download that update manually. To download KB 2871839 manually, visit this page and choose 32 bit or 64 bit version and download it to your system. Once you download that update install it and restart your PC. 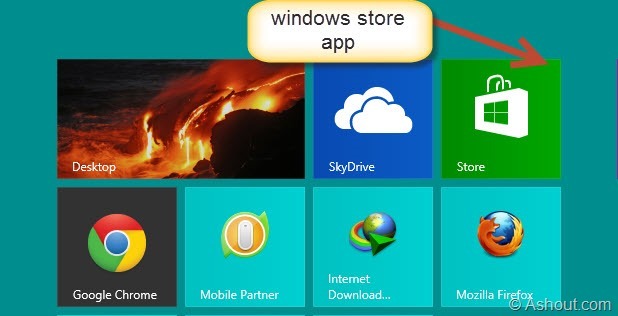 Then launch windows store app, you will be welcomed with windows 8.1 update notification. Now you can download windows 8.1 by clicking that update notification. still not working. somebody please help! i have that KB2871839 update but still I am not getting anything. I open the store and then its as usual. 1. Just check this link once, you might have using an unsupported edition of Windows 8. 2.Try clearing the Windows Store cache by executing wsreset.exe from the Run app (Win key + R) and then try again. 3. If nothing working you can try this and this method too. Hope it helps. I have downloaded the required update even then store doesn’t contain the update app! Even I manually applied next technique to visit store for update,Store opens and shows the home page! The reason,possibly,could be that I have installed the windows 8 pro 32 bit with media centre and have activated it through a crack activator ! Please help! If there are no options then please provide me a link to download the iso file of windows 8.1 32 bit without virus maybe a torrent! Please I am in a great trouble! Did you notice that in this page it is given KB 2871839 and in the download site KB2871389. Ya, I just noticed that. I’m not sure whether I mentioned wrong link or wrong name. I did tried to check KB 2871839 download page, but I didn’t see that page on microsoft. I guess I might have mentioned wrong name in the post itself.